Welcome to the BarnesandNoble.com Live Events Auditorium. 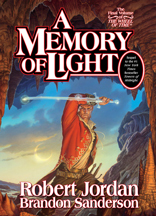 Robert Jordan, the mastermind behind the bestselling THE WHEEL OF TIME series, will join us online to discuss his newly released illustrated guide to the series -- THE WORLD OF ROBERT JORDAN'S THE WHEEL OF TIME at 7 PM ET. Please feel free to submit your questions now by clicking on the Submit Question button and typing in your query. PLEASE NOTE: In order to make Mr. Jordan's visit to BarnesandNoble.com as pleasant as possible, please submit each single question only ONE time. Thanks for your consideration and don't forget to join us at BarnesandNoble.com when the conversation with Mr. Jordan begins at 7 pm ET. Moderator from BarnesandNoble.com: Welcome to BarnesandNoble.com, Robert Jordan. We are glad you could join us online this evening to discuss THE WORLD OF ROBERT JORDAN'S THE WHEEL OF TIME. Terry Miles from jtmiles@bigfoot. : Is there any new information in the new book that has not already been presented in the existing books? Yes. There's almost nothing that is in the new book that is in the other books. There are things that are mentioned in the books and greatly expanded and they contain a great deal of information that are nowhere in the novels. Lana Trezise from Columbia, MO: A recurring motif in the Wheel of Time series is the differences between men and women. Why did you decide to make this such an important feature in your writings, and why do you take such a bipolar view on gender? I became fascinated with women at the age of three. It's a long story -- too long to go into here. But I quickly realized that for everything that was the same about men and women, there seemed to be at least two or three things that were different. Once I had decided that I wanted to use the One Power in the way that I was using itthat is divided into a male half and a female half -- it became obvious to me that the differences between men and women themselves should also play a part. bob from california: I hear you wrote a western? Is that true? If so, I'd love to read it. Any plans for any more westerns or historical novels in the future? By the way, I just got THE WORLD OF WHEEL OF TIME...what a gorgeous book. Great work!!!!! Well, thanks. As far as the westerns goyes I wrote a western once. A little out of the ordinary, set in the 1830s and with only one major character who was not a Cheyenne Indian. I might do western one day or more historical novels. History and the American West in general interest me greatly. But for the moment, The Wheel of Time takes up all of minetime that is. Gautam Mukunda from Harvard University: Mr. Jordan - I'm a dedicated fan of your series who's bought all of the books in hardback, and first I'd like to thank you for bringing such a wonderful world to life for us. It seems to me that your work is something relatively new in fantasy - you're exploring a situation where there is no known quest or goal to be fulfilled in order for victory to be assured. Instead it seems more like the real world - uncertain, with the heroes fighting a war without knowledge of the 'victory conditions'. Would you care to comment? I wanted to write a fantasy that reflected the real world. With characters who reflected real peoplenot specific peoplebut characters who were real people. And there are things about the real world that I wanted such as people who end up heroes very rarely set out to be heroes and heroic journeys consist mainly of sleeping rough and going hungry, wondering how you are going to pay for the next meal and wonder exactly what it is you are supposed to do and how are you going to get out of it alive. 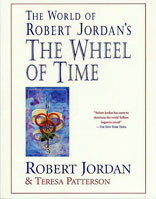 Moderator: A limited number of autographed book plate copies of THE WORLD OF ROBERT JORDAN'S THE WHEEL OF TIME are available for purchase. Well Mayene is based culturally on the cities of the Hanseatic league, as well as Venice and Genoa when those cities were world commercial powers and city states in themselves. Of course, I didn't put anything into the guide that I wanted to come as a surprise in the books. You have to remember that. Which is one reason I gave quite as much as I did about the history of the world and considerably less about the "present day." john from california: Why did you choose to use a pseudonym for your Reagan O'Neal novels? I love them every bit as much as the Wheel of Time series. I wanted to put different names on different kinds of books so there would be no confusion. I didn't want anyone to pick up a book because they had like my last book only to find that they had bought something they didn't want to read. Nick Hersh from MVNC: Mr. Jordan, absolutely fascinating series, I love it. How much do you feel you drew from the Bible in creating the Dragon chararcter. ie, Moses leading the Israelites from Egypt as opposed to Rand leading the Aiel from the Waste? I drew from everything that I have read in the past 40 odd years, including the Bible. It's very hard for me to sayin most casesexactly what the sources were in any particular instance. Yes I have an idea for what I intend to write after I finish the WOT, but I have not put anything down on paper. And I will not until I have finished the Wheel of Time. Until then, the next work exists only in the back of my head. As far as Chang Lung, I don't think there is any source anywhere except for my files and I'd just as soon leave them there. There are few things more boring than 10 year old dance reviews and theater criticism. Kate from State College PA: In a previous statement I believe you had basically said that the action of the series would take place in the Lands known to Rand and his friends i.e. not Shara or Seanchan and yet the new book has alot of stuff about those lands--have you changed your mind? Is action in either of these two lands a possibility now? No. Except for the possible occasional divurgence, except for Rands excursions to Seanchan when he chased after Aviendha. I was willing to put as much as I did into the the guide because I will not be using those things in the books in the same way that I used Kandor or Saldaea. I knew the beginning, that is the opening scenes, I knew the final scene of the final book, I knew the very general line that I wanted the story to take from the beginning to the end. And I knew a number of major occurrences that I wanted to take place in a number of relationships that I wanted to develop. I left open how I would get from one major occurence to the next to allow for fluidity in writing. I did not want to sent anything in stone. Sorry for the pun, but that does lead to rigidity. lily from florida: Do you have any short stories? I love your novels and am wondering if you have any short story collections out? I've never done a short story except that I am at the moment working on one which will be in a collection called MASTERS OF FANTASY, which Robert Silverberg has put together. Actually I'm not certain it really counts as a short storymore of a novella. Larina from Minnesota: I'm just curious...do you ever get on the internet and read any of the theories and ideas people post about the Wheel of Time? Were I in your shoes, I might be pretty entertained by that. No. I usually avoid the Net. It's too addictive and I don't have the time. Occasionally though people will send me print outs of the latest FAQ or send it to me on disk and I do enjoy browsing through that. Let me addI haven't seen one in about a yearhint hint. Kjell from Sweden: In "The Shadow Rising" Perrin was chasing Slayer in Tel'Aran'Rhiod. Slayer vanished at the Tower of Ghenjei. Did he enter it or did he just step out of the Dreamworld? Sisay from Frostburg, MD: Rumor has it that you read 400+ books a year. Is this true? What kind of books do you read? Any recommendations (besides re-reading WoT!!) while we're waiting for Path of Daggers? I don't manage to read over 400 books a year now. I'm not certain that I even managed to average a book a day. About half of what I read in nonfiction Half fiction. And the fiction takes in everything. As for recommendations, I assume you mean in the field, so try John M. Ford, CS Friedman, Guy Gavriel Kay, Terry Pratchett, George R. Martin and a slew of otherstoo many to name. You can find them. Rhonda Peters from Toronto, Ontario: Would you be willing to tell us a little more about the limits of Healing with the One Power, as they're understood in the present day and/or the Age of Legends? Could someone Heal a genetic condition like Huntington's or colour blindness? A chromosomal defect like Down's Syndrome? A degenerative condition like arthritis? Not with the form of healing that in generally known. With the newly rediscovered forms of healing, it would be quite possible, but with the newly rediscovered forms of healing people would learn how to do it because everything is healed differently with the new way. matt from new york: I love your Reagon O'Neal historical novels, The Fallon series. Did you have to do a lot of research for those? A good bit. But on the other hand history is a hobby of mine in particular the American Revolution in the South and the Southern move west, which went through Texas, Arizona, New Mexico, and California. Corey Elliott from Amarillo, TX: I have heard that you once said there are many things in your books that you were surprised readers hadn't discovered. And there were also things you were suprised we had "Deciphered". Any comments? Too true. Too true. But when I find out that something I wanted to be obvious isn't, I do look around to see if I can find another place to slip in a hint. robert from nebraska: Robert, I'd love to meet you sometime. I love your books with a passion and think you are an incredible writer. Do you ever go to conventions or have any plans on touring to promote your next book? I believe my publisher intends for me to tour for The Path of Daggars. But I have no idea which cities will be included. As far as conventions go, I attend far fewer than I would like to because three days at a con are three days I'm not writing. Joel from Phoenix, Az: Is there a complete language of the old tounge, and if so how long did it take you to develope it? There are basic 880 some wordsmaybe 900. I got a list of what is considered basic Englishwhich are the 800 odd words of a basic English vocabulary. Removed the words that were of no use in the context of my world. Came up with words in the old tongue in eAch of those English words and then added those words that did have a specific context in my world. Matt from Ohio: I know this is a tough question, but which character in "The Wheel of Time" is your favorite, and which character is most like you? I'm also eagerly awaiting "The Path of Daggers", is there anything specific you can tell us about the plot? About The Path of DaggersNothing. Read and Find Out (RAFO). As far as who I like best, it's whoever I happen to be writing at the moment. I try to get inside the skin of the point of view character, whether it's Rand or Nynaeve or Semirhaje. As to who I am most like, I think I am probably a combination of Rand, Mat, and Perrin. On the other hand, I'm afraid my wife says that I am Loial. Sam from Sacramento: When it says at the end of The Fires of Heaven "death took him," in Asmodeans last scene, do you mean that he died? There has been much speculation as to wether or not "death" refers to Moridin, whose name in the Old Tongue means "death." Many think that Moridin's second Mindtrap is for Asmodean, but "death" was not capitalized in the scene where Asmodean made his last appearence. Can you tell me wether or not he was taken by Moridin? Asmodean went for the long jump in that scene. Josette from Pittsburgh, PA: Was it your idea for the Robert Jordan hotline? I think that's such a great idea. The hotline at Tor was my idea. And you reminded me - I have to record a new message. It's been a while since I've recorded one. A lot of what's on that is outdated now, I'm afraid. That is if you mean the message that I've recorded at Tor Books. mike from boston: when you create a character how much do you know about them? Do they ever go off in directions you hadn't expected? When I create a character I know as much as possible about themas much as I can possibley conceive. Characters do not go in directions that I don't expect, because I am the writer, after all. Sometimes I will see a possibility that I didn't expect to use a character in a different way and I do like to do that, especially if it's something I don't think people will expect. I have approved several fan clubs who wrote to me and asked me to endorse them. I don't approve anybody exclusively. As far as Darrel goes, he was selected by the publisher. Joel from Phoenix, Az: You have said several times that you based many of the cultures in WOT on cultures of history. Do you have a favorite period in history, or a favorite culture? Joar from Costa Mesa, CA: You have mentioned that you intentionally tried to recreate some of the feel of Tolkien's Middle Earth, especially in the first book. Considering many of the similar elements between the stories and the fact that time in your world is cyclical, with heroes being reborn through the ages, did you intend to imply that Middle Earth could possibly be "An Age long past. An Age yet to come?" Certainly not. In the first hundred pages of THE EYE OF THE WORLD I did try to invoke a Tolkienesque feel. But after that I have certainly not tried to reflect in any way Middle Earth. As a matter of fact, beginning back in that very early part of THE EYE OF THE WORLD, I deliberately took off in a very different direction from Tolkien and I've been running hard in that direction ever since. I play a one of the best telenet games based on your books (cshadow.net port 4000) it runs as close to you books as we can get. My question is this..I play a Seanchan Character and have for some time...What was your basis when creating the Seanchan race and the structure of their society. I enjoy the race completely and love the structure of its Hierarchy and was just curious as to what they are created from in your mind...? thank you!! Imperial China. Japan during the Shogunaites, with strong dollups from the Persian Empire and from the Ottoman. Nansen from Ithaca, NY: Hi, just curious. In the last section of the Eye of the World, Lan says that the Bond does not tell him the exactly direction where his Aes Sedai is exactly; it is just a general feeling. But then later in series both he and Rand had the ability to tell an exactly straight line direction the location of whom they are bonded to. Is this an inconsistany or is there an explanation? Thanks! Yes. There is an explanation. A change that was supposed to be made in manuscript in The Eye of the World and did not get set into type and which I though had been corrected. I have been trying to get that changed every since I discovered that The Eye of the World has been published with the eroneous informaiton. I hope they are still not printing the books with it. Sally Hutchinson from CA: I have heard rumors that you confirmed the identity of the Daughter of the Nine Moons as Tuon, the Seanchan Empress' second daughter. Is this true or just a rumor? A rumor. I very seldom confirm my very own existence. John from State College PA: The Guide has alot of stuff we have not seen before. But there are alot of references made in the series that had no mention in the Guide. As you have totally captivated me with your world can I hope for another Guide at the end of the series for more information on all those trivial bits we have come to love? I do intend to do an encyclopedia, if you will, at the end of the series, but I don't want to do too much about what is in the books until the series is finished. Rudi Nuissl from Colorado: When you first started writing, what was your first effort and how long was it before you had anything published? My first book was accepted by DAW and then rejected by DAW 20 years ago. Whereupon I immediately resigned my position as an engineer. The first year I made nothing, the second year I made 3000 dollars and the third year I made twice what I had made my best years as an engineer. I have been earning my living with my pen ever since. Brandon from Mission Viejo: Mr. Jordan, It's fairly common knowledge that the Dark One was bound by the creator outside of the pattern at the moment of creation. Would it then be safe to assume, after concepts brought to light in the new release, that the world before the opening of the prison never knew true evil? If so, then was each age before the opening of the Age of Legends different facets of some utopia? As well, without major conflict between good and evil, what caused ages to pass? Thanks. Given that time is cyclic, you must assume that there is a time when the prison that holds the Dark One is whole and unbroken. There is a time when a hole is drilled into that prison and it is thus open to that degree. And there is a time when the opening has been patched in a make-shift manner. But following this line the cyclic nature of time means that we have at some time in the future inevitably a whole and unbroken prison again. Unless of course, the Dark One breaks free in which case all bets are off, kick over the table and run for the window. Rhonda Peters from Toronto, Ontario: Hi Mr. Jordan, thanks for doing this. I've read the new book (and enjoyed it). I found it very surprising that the Red Ajah would have the largest membership, could you expand on why that's so? The numbers of male channelers have been dwindling prior to the events of the story, and Aes Sedai from other Ajahs seem to be willing to help capture and gentle men. Do the Reds have another role in the Tower, or is there some other reason for their numbers? Some faces of beingi Aes Sedia are being carried out by all Aes Sedai. That is, a Blue sister might dig out an old manuscript and old knowledge. A Brown sister might take on a man who can channel. And a red sister might engage in political manipulation. But the fact is to the world at largeone of the primary functions of Aes Sedai is to protect the world from men who can channel. That means that a fair number of young women who go to the White Tower, go thinking that this will be one of their major functions as Aes Sedai. So the Red Ajah and the Green Ajah are the two largest. Jason Verner from TX: Do you have any plans for introducing the land of madness into the WOT series, besides its mention in the guide, and if so can you elaborate a little? Moderator from BarnesandNoble.com: Mr. Jordan, thanks so much for joining us this evening. It's been a real pleasure. Do you have any closing remarks? Well, thanks for having me. Thanks for coming guys. It's been good talking with you. Good night.